Westport Senior Legion right-hander Thomas Cirillo pitched a complete game in a 6-2 loss at Wilton Tuesday. Although Wilton scored six runs, Cirillo was solid on the mound and three of the runs were unearned. A patchwork lineup, runners left on base and giving the opponent extra outs is a recipe for defeat. That's what happened to the Westport Senior Legion baseball team Tuesday in a 6-2 loss at Wilton. Wilton raised its record to 8-7. Westport had six players missing for various reasons (three at football camp, two at a mission in Costa Rico and one who played for his other summer baseball team) and dropped to 3-8. "The same exact thing, I'm undermanned," said Westport Coach Wayne Randazzo, who feels he keeps on repeating himself in assessing his team. With Westport missing six players, it had to insert four of its pitchers in the lineup with righties Mitch Gilbertie, Jon Lobello, Alex Bauer and Jonathan Friedman playing in right field, first base, third base and designated hitter, respectively. 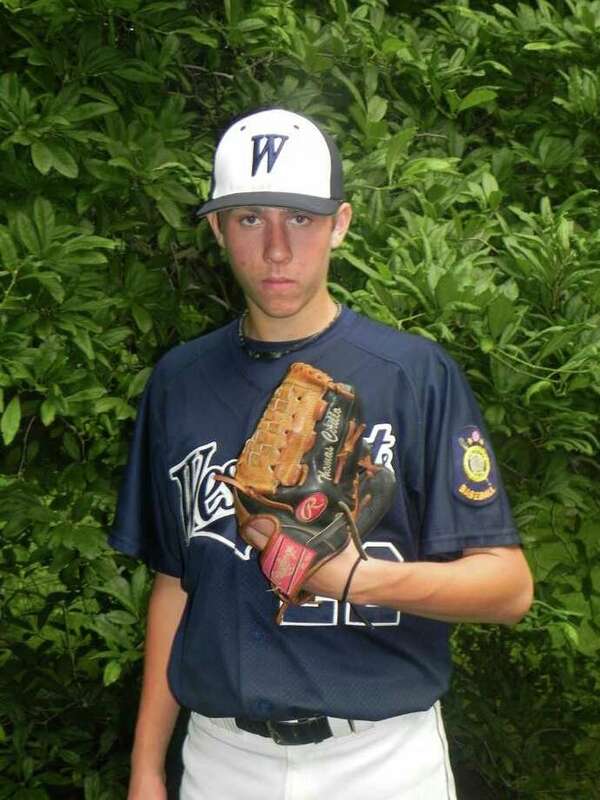 Moreover, rightie Thomas Cirillo started for Westport despite catching the whole game for the Junior Legion team Saturday and five innings Sunday and catching for the Senior Legion team Monday. In addition, he pitched two innings in relief for the Junior Team Sunday and got the save in a 2-1 victory over Norwalk. Despite being overworked and at times, not receiving much support, Cirillo pitched well in tossing six innings for a complete game, allowing six runs on 11 hits with three walks and four strikeouts. Only three of the runs scored on him were earned. Center fielder Nick Kiedaisch helped Cirillo in the bottom of the first with an excellent catch off a hard hit ball and Gilbertie caught a shot in right, but other than that, his fielding hurt him. Wilton scored an unearned run in the second with Bauer's error figuring prominently in it. At the plate, Westport hit well and had at least one hit in the first six innings, finishing with eight hits, but it left nine runners on base. Ben Greenberg was 3-3 with a walk and led off the game with a sharp single to center, but was thrown out on an attempted steal. Greenberg hit the ball solidly all night and all of his hits were shots, no dinks or dribblers. "I'm trying to recognize the pitch early," Greenberg said. "He went with a first-pitch fastball and I went with it." Alex Ludel was 3-3 for Westport and had a one-out single in the second. "I tried to stay back on the ball and drive it up the middle," Ludel said. Friedman lined a two-out single to left but both runners were stranded. Westport tied it in the top of the third. Greenberg led off by lining a single to center and after being erased on Kiedaisch's fielder's choice, Marco Romero singled up the middle. Kiedaisch and Romero advanced on righty John Legaz' wild pitch and Kiedaisch scored on Alex Gandolfo's RBI ground out. Ludel led off the fourth with a single and took second when Lobello walked. Both runners advanced on a wild pitch and Ludel scored on Gilbertie's sacrifice fly. Legaz then walked two batters to load the bases but induced Romero to pop out. Wilton came back with a run in the bottom of the fourth off an infield hit and took a 3-2 lead in the bottom of the fifth. Legaz switched with righty center fielder Jack Palombo in the sixth. Palombo allowed one hit in two innings to close the door. Meanwhile, Wilton gave Palombo insurance in the bottom of the sixth with three runs, two unearned, which were abetted by Lobello dropping a ball at first to start the frame and Bauer's throwing error later in the inning. "Timely hitting," said Greenberg on what the team lacked. "We needed to get it down and move the guys over. Nick got robbed in the gap and that would have changed the game." Greenberg was referring to Kaidaisch's shot to center field in the sixth, which Legaz ran down to rob him with two outs and Greenberg at first. "We left too many runners on base when we had runners on base," Ludel said.